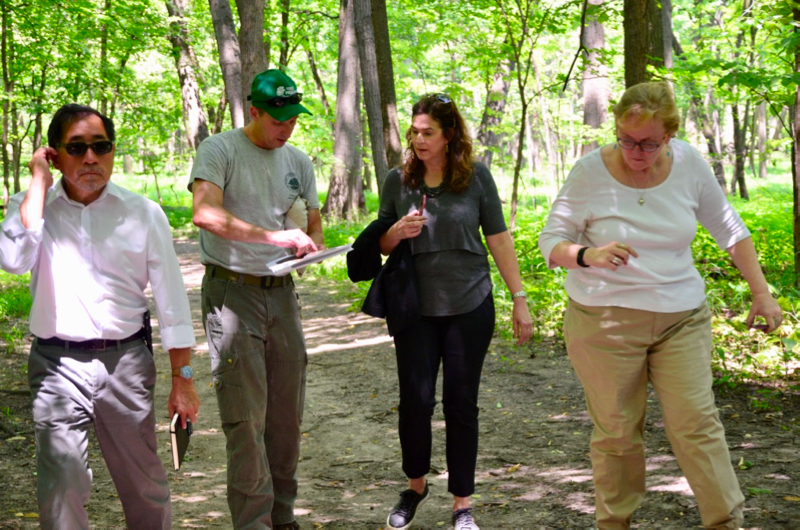 Craig Billington, an ecologist for the Forest Preserves of Cook County, took Foundation board members and staff on a guided tour through Thatcher Woods on recent Friday afternoon. 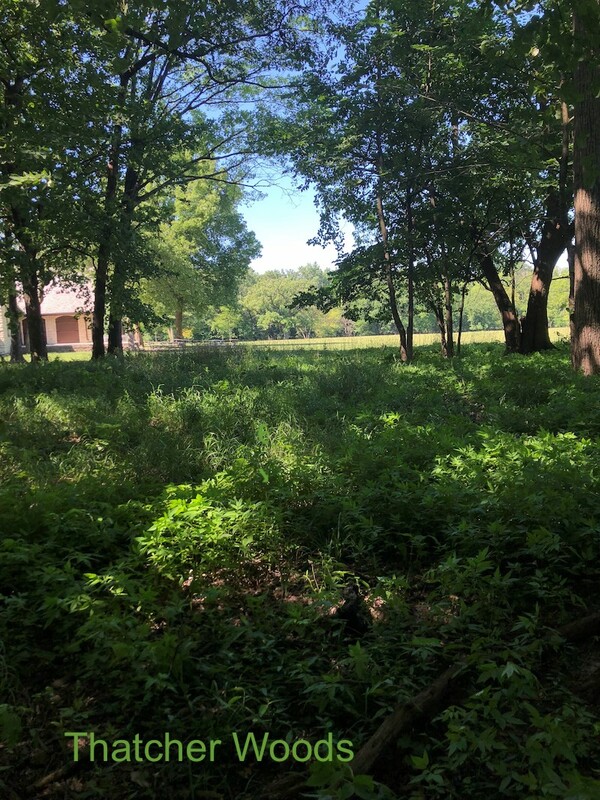 As we headed out into the woods from Thatcher Pavilion, Billington filled us in on the history of the preserve, which is located near the historic homes of Oak Park and River Forest. 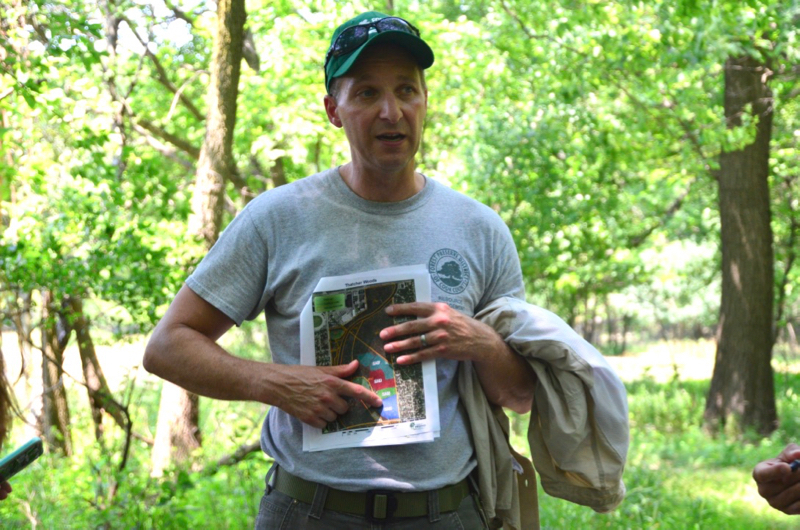 It covers 245 acres of woodland along the Des Plaines River. The area is home to more than 250 native plant species. The woods were once home to prehistoric Native Americans, who constructed large effigy mounds throughout the region. The Thatcher Landscape Unit is the area consisting of 470 acres which includes Grand Army of the Republic Woods, Thomas Jefferson Woods, Thatcher Glenn and Thatcher Woods all together. Although the Thatcher Woods Preserve is called “woods” it is actually prairie and oak savanna as well as woods. Billington also explained how a fire break works and what exactly that means. If you travel to the west side of the Des Plaines River, you would notice that most of the land is made up of prairie and grasses because of fires that the Native Americans set or that occurred during lightning strikes. The fires would travel until they met a river where the fire could not cross. Fire is a natural way to control invasives and even some native species so they did not grow and take over. 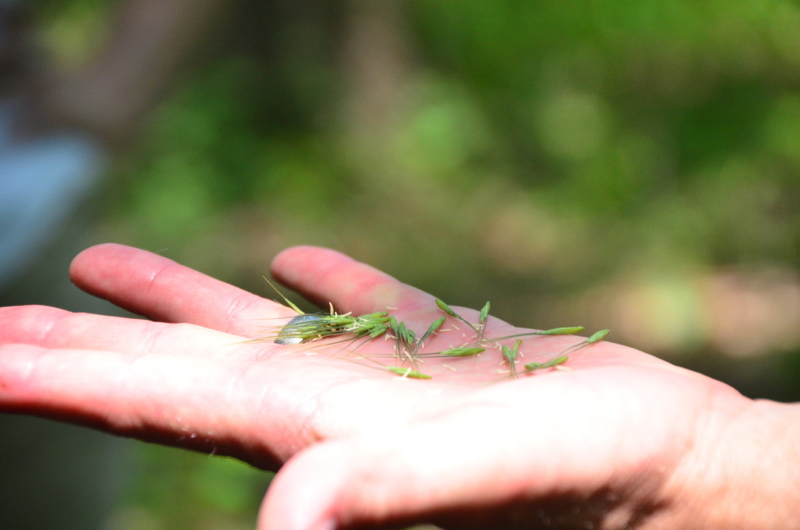 Seeds from the bottlebrush grass plant found in Thatcher Woods. Prairies were used by the eventual European settlers, as agriculture landscapes to grow crops as they have rich soils and were clear of trees, but the forests were fairly untouched by settlers as they could not be used for agriculture purposes. Forest Preserves were the only natural land left to preserve. Thatcher Woods is considered a high-quality floodplain forest, one of the only few left in Cook County, and a high quality mesic upland forest, which means that the moisture content is a perfect mixture of wet and dry, with a high density of trees. In 1990, a group of people wanted to start a restoration project to help with invasive species management, Billington explained. This project really took off in 2015 when Forest Preserve workers started working each year on a different section of Thatcher Woods. They started by removing invasive brush and thinning out trees so sunlight could get through to the natural vegetation that requires sunlight to survive. The brush removal is done during the winter when it is easier to remove, whereas the invasive grasses or herbaceous (meaning plants like annuals, biennials or perennials) species are treated with herbicides during the growing season. Four invasives are common to this area: buckthorn, garlic mustard, Asian honeysuckle and multiflora rose. Buckthorn is a shrub that was originally brought over from Europe because people liked to plant it as a hedge row between their houses. Buckthorn is invasive is because it does not have its natural predators and it leafs out early in the year and stays green until November, just before the snow. As the shrub comes out early it blocks the sunlight from the spring ephemerals (perennial plants that emerge early in the spring) species that live on the forest floor - species that are well known to Thatcher Woods. 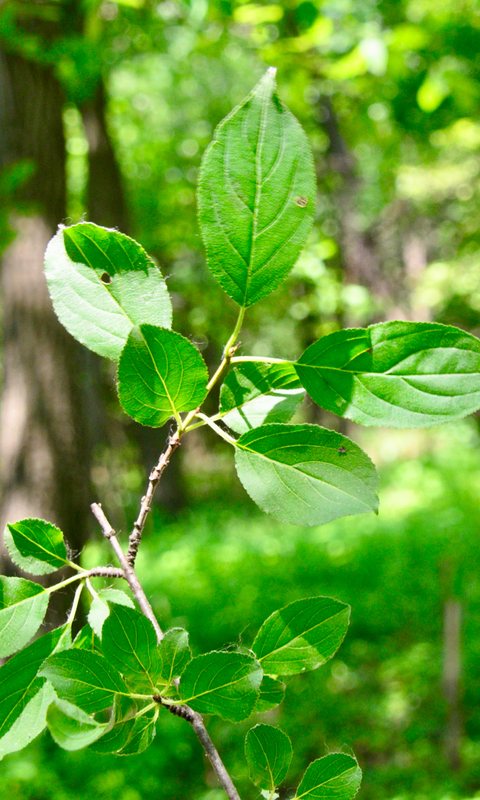 If the buckthorn shades the ephemerals, then those species will die out in the area. As we continued through the woods, Billington shared more history of the first post-European settlers to the area, among them was the Thatcher family who moved in 1854 to an area adjacent to the present day Thatcher Woods Preserves land. The Thatcher family left a light footprint of agriculture and grazing, which led to the land being preserved as a forest. The Trailside Museum located just south of the main area of Thatcher Woods, was designed by architect Abraham Hoffman first as a home and a school for the Thatcher family in 1919. The building later was used as the first headquarters for the Forest Preserve. In 1917, the Forest Preserves obtained Thatcher Woods, originally called Forest Preserve #3 as it was the third piece of land acquired by the newly established Preserves system in Cook County. Craig is such a great guy! He does fantastic work at Wolf Road Prairie. Thank you, Mary. 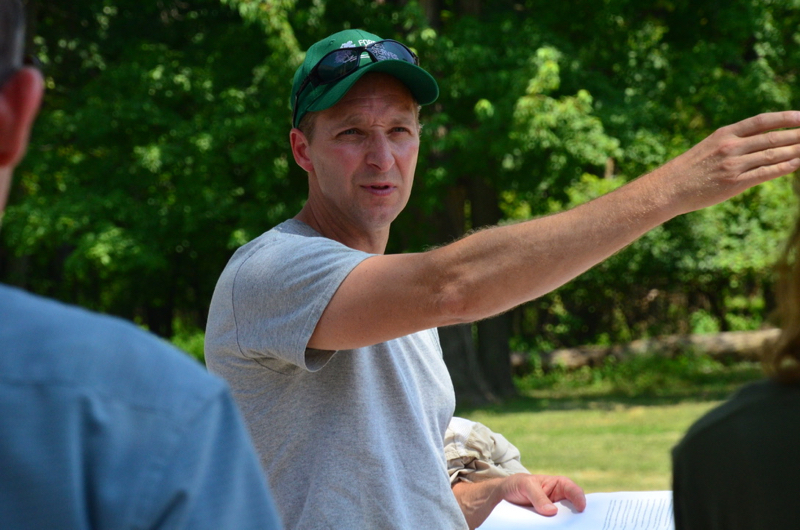 The Preserves are lucky to have someone like Craig working to keep them vibrant and healthy.